I took the Metro out to the VDNKh stop. As you emerge, you see the stunning soaring tower of the Monument to the Conquerors of Space. 100 meters of titanium clad concrete, thrusting a rocket ship into the cosmos. 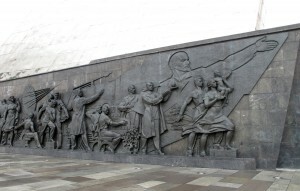 Build back in 1964, as a tribute to the bold new Soviet Cosmonauts and the Brave New Soviet Future, it seems like a strange relic of an almost forgotten past, but it is also truly striking: sometimes Soviet art could make the leap to inspirational. 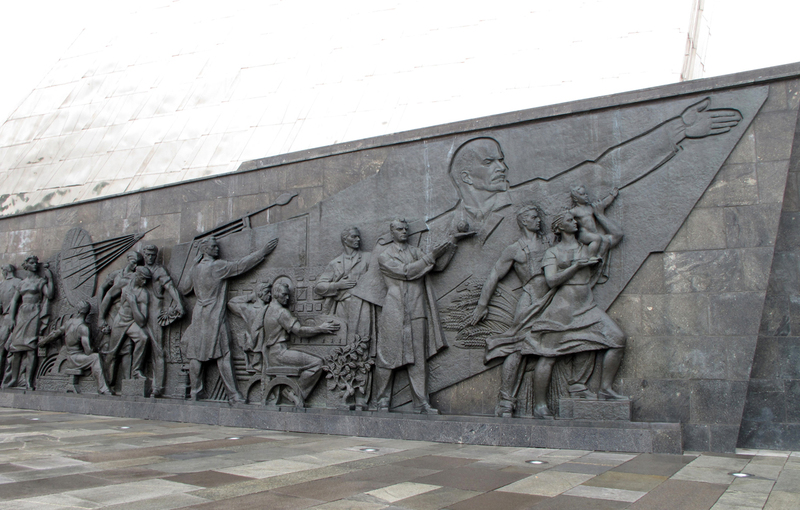 The base of the Monument has a much more mundane example of Soviet art: a dull triumphal parade of heroic workers, with Lenin pointing the way. 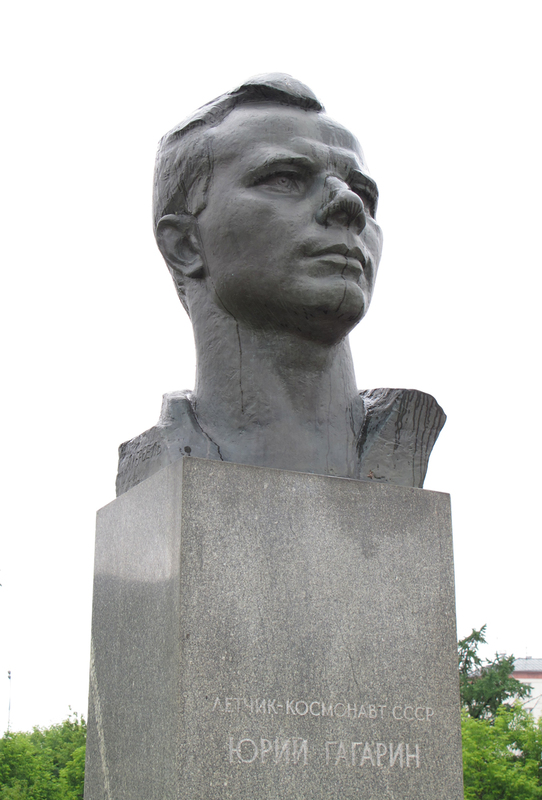 Nearby are busts of the early Cosmonauts and a full statue (in almost Lenin-like splendor) of Sergei Korolev, the legendary Chief Designer of the Soviet rocket program. Underground, below the Monument, is the Memorial Museum of Cosmonautics. This has a large and impressive collection of spacecraft and cosmonaut paraphernalia. There are many models and replicas, but also some startling original pieces. In the entry hall is a replica of Gagarin’s Vostok-1 capsule. (The original capsule is at the RSC Energia Museum outside of Moscow.) The capsule was more spacious than I expected – it seemed significantly bigger than John Glenn’s in the Smithsonian. Nearby, the stuffed doggies are Belka and Strelka, the first Space Dogs to return safely from orbit, posing beside their little capsule. Several of the Soyuz capsules were clearly authentic, with real re-entry burns. I particularly liked the dramatic layout of “Cosmonauts in the Snow” with the cosmonauts awaiting their recovery helicopter. The accompanying Soyuz craft boasts some extremely authentic looking re-entry scars. And there is a wide assortment of later artifacts, including Michael Collins’ Apollo suit and a replica MIR space station.